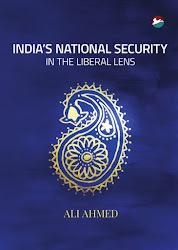 With the National Security Adviser (NSA) being an old intelligence hand, it was only to be expected that the intelligence arm of strategy would gain prominence in India’s grand strategic repertoire. However, since national security runs a risk when strategy gets intelligence-led, it is only a corollary that the risk is compounded when the by-far-more-consequential grand strategy gets to be intelligence-led. India is no stranger to intelligence dictating strategy. Given that the consequences have been far from benign, with the intelligence community usurping grand strategy there can only be trouble ahead. Even the great intelligence manufactured victory in the 1971 War has not been without its aftershocks. Pakistan first furthered disaffection in Punjab and then concentrated on Kashmir. 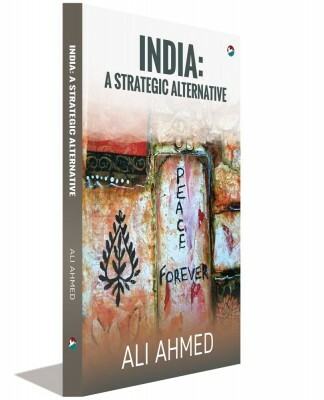 An intelligence-led strategy in Kashmir, described languidly by an intelligence practitioner with leadership experience in both IB and R&AW recently, has not brought India any closer to closure. Instead, the situation in Kashmir continues to embarrass India. At the other end, the failure of an intelligence led strategy in Sri Lanka was more obvious, even if the intelligence chiefs in their writings in retirement never tire to put the failure at the army’s door. India’s intelligence-led interference prolonged the internal conflict there by at least a decade. R&AW’s weapons largesse, as academics such as Muthiah Alagappa inform, at the fag-end of the expedition there led in favour of the Tamil National Army, led to prolonging of the war there for another decade since it was obvious that these arms would fall to the LTTE once the IPKF set sail. Today, a master of the ‘trade’ is NSA. In his pre-accession phase immediately prior to elections, he laid out his world view in Sastra University, now famous as the ‘Baluchistan ultimatum’ to Pakistan. He opined that since the nuclear threshold had made war rather costly, intelligence operations were the answer to India’s Pakistan problem. Since terrorists were merely mercenaries, India with a growing economy behind it could afford to out-bid Pakistan. If Pakistanis are to be believed the results are already apparent. Munir Akram, one time Pakistani diplomat in the UN, has in two successive articles in Dawn pointed to ‘reported support’ by India of some terrorists groups there. Even if we are to discount atrocities such as at the Peshawar school and Lahore’s park as having Indian provenance, as typical Pakistani obfuscation, terrorists targeting Pakistan’s maritime reconnaissance assets at Karachi airfield should lend us pause. The alleged surfacing of an alleged Indian spy, former navy officer Jadhav, in Baluchistan in ISI custody shows to Pakistani at any rate that India might have found a theater for its intelligence operations. With guns silent on the Line of Control and diplomacy in abeyance, it can plausibly be inferred that the intelligence arm is compensating in some measure. A plausible aim of an intelligence-led strategy is easy to divine. It could be to bring Pakistan to realize that those who live in glass houses should not be throwing stones at others. With Pakistan’s military dominated national security establishment suitably conditioned by Indian intelligence operations to its underside, it would perhaps ease up on its policy of administering death to India by a thousand cuts. 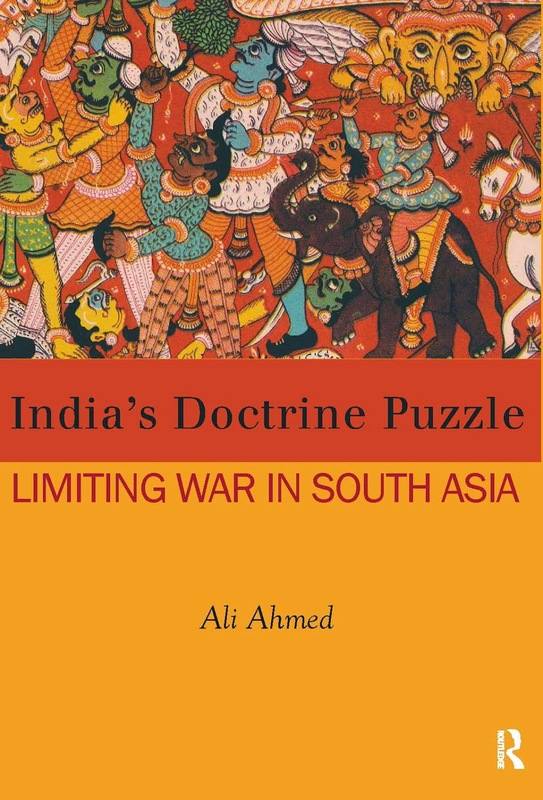 Seeing that its military and ISI has been bested by India at its own game, Pakistani political class and the business lobby can turn the tables in internal Pakistan politics to begin a pro-India regime there. Since this is perhaps all to happen in the long term, the strategy can be expected to have some set-backs. Perhaps, this accounts for the current day hiccups - if not hold up - in the India-Pakistan dialogue, despite a promising leg up it received in Mr. Modi’s Lahore stop over. Indeed, India’s diplomacy has seen not only its Pakistan domain hijacked by the intelligence lobby, but its multi-vector outreach has been reduced – counter-intuitively in cerebral Jaishankar Subrahmanyam’s tenure - to a single track: terrorism. At the nuclear security summit, India raised terrorism. On Mr. Modi’s return via Saudi Arabia from the nuclear security summit, it was terrorism yet again; this time with the Lashkar in the sights. Its China policy is in danger of being over-shadowed by terrorism since the Chinese refrained from enabling sanctioning of Jaish, a point that figured in the visits of the defence minister and the NSA to that country. With Modi visits to the US, Israel and Iran lined up, it can only be more of the same thing. The external part of an intelligence-led strategy is only the tip of the iceberg. India’s Pakistan policy is reduced to a psy war. Grand strategy comprises an internal dimension too. On Kashmir, the age old policy of a military template continues, absent conflict resolution. The state government remains in place even as the police and intelligence keep it afloat, the latest intelligence foot work being release of the video of the Handwara girl presumably with the larger purpose of saving lives that would have otherwise been lost in a high on energy but low on purpose agitation. More pertinent for internal security is the home front. A proportion of terrorism Indian hinterland has witnessed is of Hindutva origin. Yet, as closet Hindutva hands in the strategic community have been reminding since the UPA II years, such an acknowledgment weakens India’s hand versus Pakistan. India’s claim of a Pakistani link can best be sold in case Hindu fingerprints on terror bombs are obscured. This explains the volte face of the National Intelligence Agency on Malegaon; the triumphant return of Vanzara to Gujarat; the bail for Samjhauta bombing suspects; Major Purohit poised on being let off; the second assassination of a dead young Muslim woman Ishrat Jahan; the dropping of cases against BJP stalwart Amit Shah; the go-slow in the case being kept alive by Zakia Jafri and the over-hyping of India’s vulnerability in its huge Muslim population to ISIS overtures. The contradiction in India’s position on terror in the non-recourse to hate speech laws against Hindutva proponents, even while asking for incarceration by Pakistan of their Pakistani counter parts, and letting of suspected Hindutva terrorists while calling for Pakistan to account in its softness on India’s wanted list, cannot be missed in chanceries on Shanti Path. The subtext appears to be that if Pakistan can be soft on its terrorists, so can India go slow on its own terrorists, thus putting paid to ‘zero tolerance’ for ‘enemies of humanity’. What is up for discussion is whether the hijack of grand strategy by the intelligence community owes to the takeover by majoritarian forces in politics or reliance on the intelligence arm to furnish high politics and grand strategy. Is it top down or bottom up? One interpretation can be that the intelligence instrument is only doing its professional bidding since the policy has been put in majoritiarian forces. By the second yardstick it is playing hand maiden. The intelligence subculture, fathomed through strategic literature, anecdotal evidence and writings by practitioners, suggests there is reason to fear Hindutva contamination of its professionalism. With intelligence agencies so predisposed calling the shots at long last, there is a case for a general alert over the strategic underside; principally that while the external may fascinate, the internal sphere is where the action is. So the jury is out on this one. Either way, India needs to retrieve balance in grand strategy by ensuring all institutions and agencies contribute to it rather than have any one run away with it.